Tickets can be purchased at the Fox Theatre and Little Caesars Arena XFINITY box offices and Ticketmaster.com. Ancient Land is the next chapter of Celtic Woman’s extraordinary musical journey as the group continues to touch the hearts of a huge global audience with the centuries-old Irish tradition of telling stories through song: stories of the land, stories of love and stories of dancing -- songs that will bring a piece of Ireland to audiences everywhere. A brand-new concert spectacular will air on PBS stations this fall (check local listings for airdates). Filmed against the backdrop of the historic Johnstown Castle in County Wexford, Ireland, the outdoor concert special features brand new music from Ancient Land, timeless Irish favorites and unexpected cover songs. 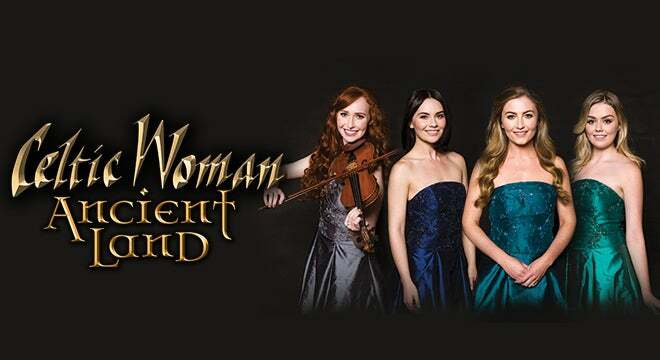 For the complete tour schedule and ticket information, visit celticwoman.com/tour-dates. Sign up for Celtic Woman’s newsletters at celticwoman.com to be informed of future tour dates, album releases and special offers.